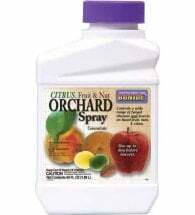 In today’s modern society, it is common to use chemical pesticides to control insect pests. In fact, their use throughout the world has increased by 50% over the last 30 years, and 2.5 million tons of commercial pesticides are now applied annually. They are aggressively promoted by large companies and government groups making up a more than $35 billion a year industry. All is hunky dory, right? Guess again! The problem is, as our reliance on chemical pesticides increases (along with their cost), their effectiveness is declining. Crop yields lost to insects are greater now than they have ever been, even with increased toxicity. What could possibly be going on here? 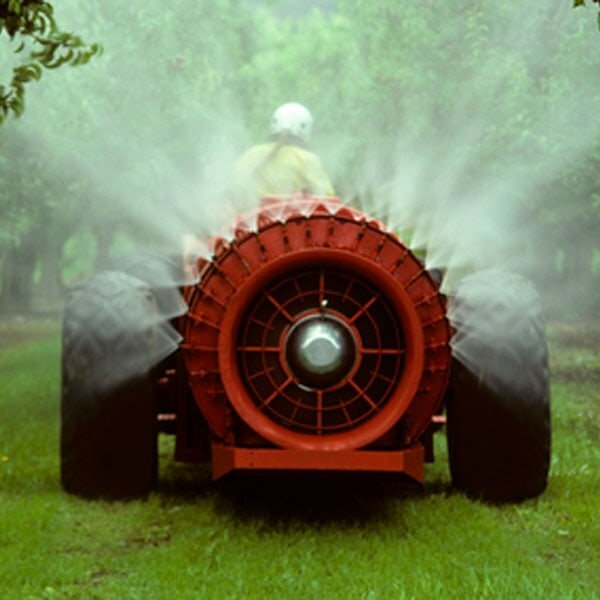 Pesticides create secondary pest problems. 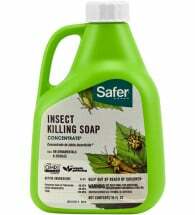 Chemical insecticides are rarely selective and kill a large number of insects, including the good ones. The environment created by indiscriminate insecticide use often allows other insects — not the initial pest but different insects seeking out food — to rapidly increase in number because no natural enemies — beneficial insects — remain to prevent the population explosion. In some instances, secondary pests cause greater damage than the insects that were initially the problem (see Problems with Conventional Pest Control – PDF). Note: Less than 1% of the world’s insects are considered pests. The other 99% play a pivotal role in our food chain and many are indispensable. Pesticides invoke resistance. Insect pests have an uncanny ability to develop resistance to conventional insecticides. Currently, there are more than 500 insect pest and mite species that have shown resistance. 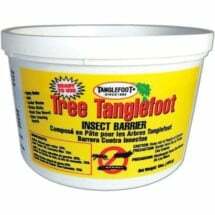 In fact, some of the most destructive pests found in the garden cannot be controlled with today’s chemicals. For more information visit the Insecticide Resistance Action Committee. The economics of pesticide use. 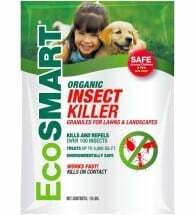 The combination of secondary pest outbreaks, insect resistance, government regulations and legal battles over safety and the environment have caused the cost of chemical insecticides to rise dramatically. Long term natural pest control is a safe, sane and cost-effective approach for protecting garden plants from insect damage. It is a concept that works with Mother Nature to optimize, not maximize, pest control and is best obtained by using a variety of techniques, better known as integrated pest management (IPM). Chemicals, used only as a last resort, are normally not needed. Know thy enemy. Not all garden insects are pests. Do some research to correctly identify the insect. Also, get to know its’ habits and life-cycle to properly select and time treatments. Set thresholds. Determine a level of acceptable damage. How much are you willing to put up with before seeking some sort of control? Remember: Not all pests will cause significant damage. Watch closely. When your observations have indicated that pest levels are high enough to cause significant damage, consider treatment. Cultural Control: Involves manipulation of the environment to favor beneficial insects and/or inhibit pests. Changes can include adjusting soil pH, watering practices, amount of sunlight or selecting pest-resistant plants. 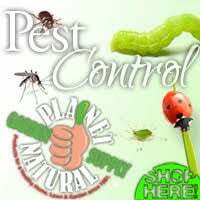 Mechanical Control: Includes a wide variety of tools that remove, trap or exclude garden pests. These methods include copper tape for slugs, yellow stickies for fungus gnats or even hand-picking. 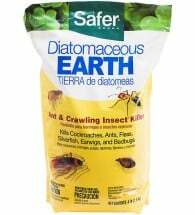 Available from Planet Natural, live ladybugs are the best known garden predators available. 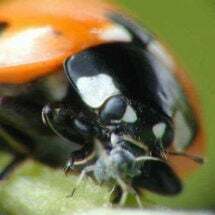 Both the adult and their dark gray and orange marked larvae feed on aphids (40-50 per day) and a wide variety of other soft-bodied pests, mites and insect eggs. Instructions for care and release are provided with each order. Beneficial Insects: Used in this country since the late 1880’s, these predatory and parasitic insects attack and destroy only insects; they are harmless to people, plants and pets. Ladybugs, trichogramma and praying mantis are a few of the better known garden predators available. Biological Pesticides: Usually pest specific, these are either living organisms (parasites, predators and pathogens) or are the toxins produced by them. 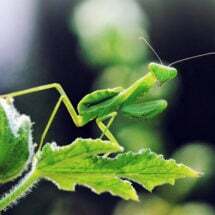 Biological pesticides have very little or no effect on beneficial insects and are safe for the environment. 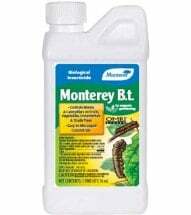 Bacillus thuringiensis, Bt for short, is a natural occurring, soil-borne biopesticide that has been used since the 1950s. 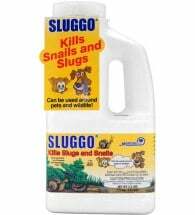 Soaps, Oils and Abrasives: These controls are broad-based in their actions and include products that dehydrate or smother pest insects (diatomaceous earth, insecticidal soap). They are generally considered “natural” and degrade quickly in the environment. However, they are NOT selective. Take precautions when using around beneficial insects. 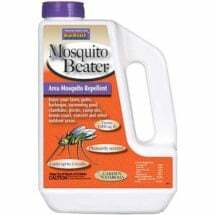 Botanical Insecticides: Derived from plants, these natural pesticides provide a quick “knock down” to a large number of garden pests. They are powerful insecticides, but non-selective and will harm beneficial insects. A major advantage of botanical insecticides: they biodegrade much more quickly than their chemical cousins.